Rovio’s partnership with NASA has been known for a number of weeks now, with its mega-popular bird-throwing game Angry Birds taking to Outer Space with a new title launching for iPhone, iPad, Android, PC and Mac on March 22. 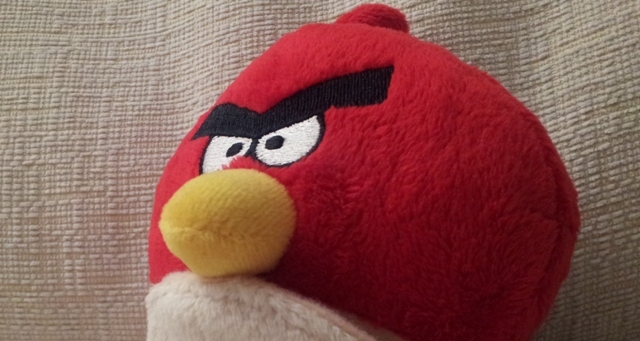 More details of the Angry Birds Space game have now emerged, and visitors to the SXSW festival in Texas will be first up to give the 60 levels and six new characters a trial-run. Gamers will get to enjoy new astronomy-themed mechanics such as zero gravity, slow-motion puzzles, and “lightspeed” destruction, so your bird-throwing skills may need a little fine-tuning to take these extraterrestrial conditions into account. The game will be getting its first airplay on March 9 at SXSW, and it will be demoed on Samsung’s Galaxy Note device, in line with a marketing tie-up with the manufacturer. Angry Birds was first launched in 2009, and since then it has seen somewhere in the region of 700m downloads across all platforms. It’s also pushing sales in the physical world, with a plethora of merchandize such as toys and lunchboxes, whilst real-world activity parks are being rolled out throughout 2012 too.